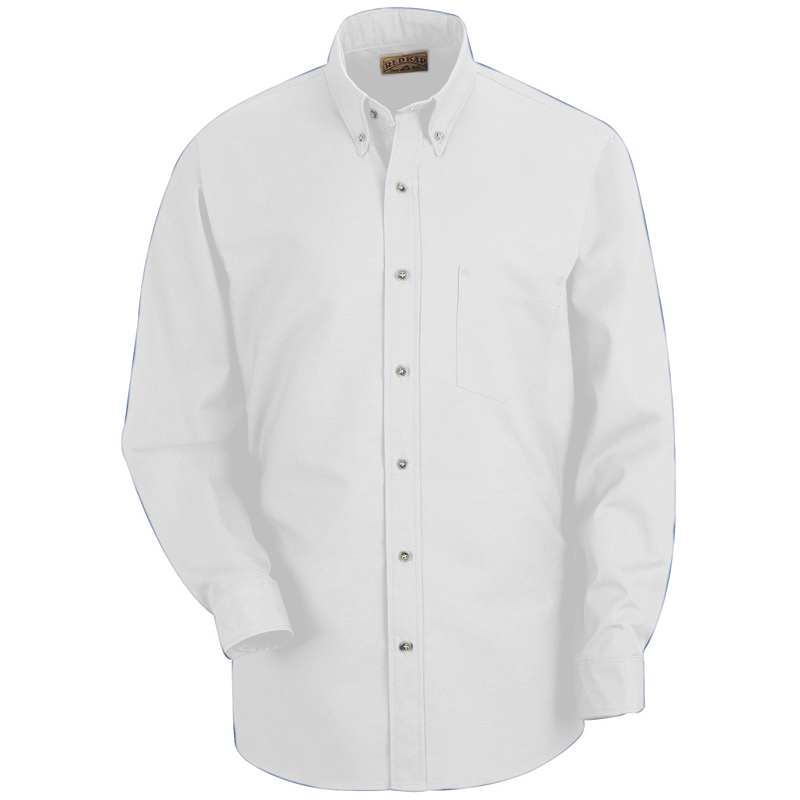 RedKap Men's 4.25 Ounce Long Sleeve Poplin Work Shirt. Easy-care 4.25 ounce 65/35 poly/cotton fabric with Touchtex technology and soil release. Wickable finish, box-pleated back, longer tail length. Left chest pocket and 7 woodtone buttons. Two-piece, lined, banded button-down collar. Double-pleated sleeves with tailored placket and cuff. Style Ships From Nashville, TN. Sizes S-5XL: White, Black, Burgundy, Khaki, Light Blue, Navy, Silver Grey, Red, Royal Blue.